Orlando trade show displays provide an important marketing tool for communicating your brand story, showcasing your products and services, and generating new business. But the cost can often be prohibitive, especially if you take the traditional approach of designing, building and owning your exhibit booth. ExpoMarketing has a better solution. As the pioneer in trade show rental booths, we’ve been providing businesses nationwide with a cost-effective alternative to booth ownership for more than a quarter of a century. Our award-winning designs are used by exhibitors in virtually every industry, and we carry one of the largest booth rental inventories in the country. When you need an Orlando trade show booth that provides a custom-built look and feel without the high cost of ownership, ExpoMarketing has the perfect solution. When it comes to getting the trade show results you want without breaking the bank, renting is the smarter way to go. 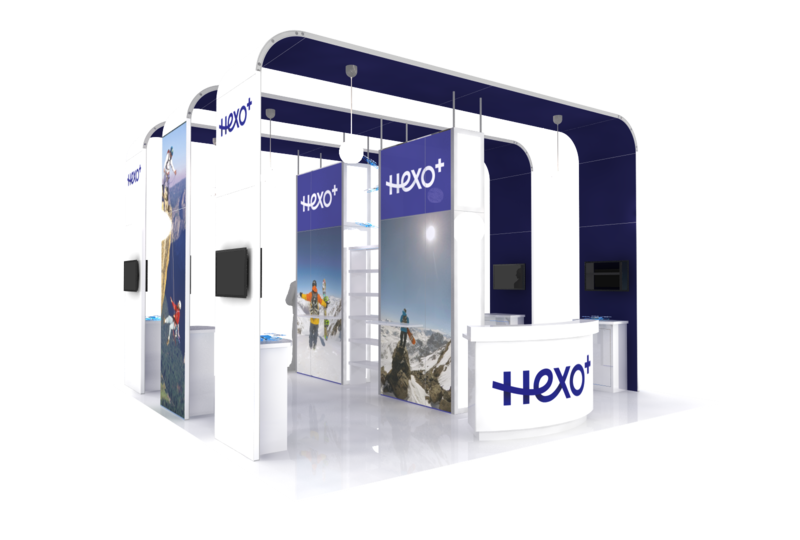 Renting also offers the flexibility to change booth sizes – an important consideration if you exhibit at multiple venues throughout the year. Add up all these advantages and you can enjoy an eye-catching rental booth for a fraction of the cost of owning. The Orange County Convention Center offers more than a million square feet of meeting and exhibition space while providing exceptional service to event planners, exhibitors and attendees. One of the primary drivers of the local economy, OCCC generates nearly $2 billion in economic impact to the Orlando area each year. Centrally located in downtown Orange County, OCCC is within easy walking and driving distance of world-class dining, shopping and entertainment. Attendees can also enjoy the area’s major attractions such as Sea World and Disney World. As a full-service booth rental agency, ExpoMarketing rents everything you need for your Orlando trade show display. From furniture and flooring to lighting, A/V equipment and more, we bring together all the diverse booth elements to ensure that you put on a polished, professional exhibit that attracts attendees and their business.